What are people doing with their deer boxes these days? Went looking for the hides box and couldn’t find one? Does fleet farm still do a coupon or a pair of gloves if you bring them there? If science fiction has taught me anything, it's that you can never have enough guns and ammo when the zombies come back to life... "WS"
Seen plenty in Crosby and Brainard. There was one sitting on hwy 10 in elk River also. i dropped mine off at the SA in cold spring this morning. i know last year i heard there were fake boxes not delegated to the MDHA cause. thanks to Lee's hero and the Tariffs..........hides appear to not be in much demand!!!!!! 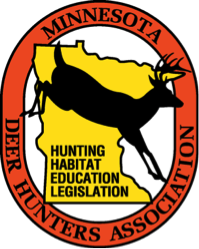 We have out MDHA boxes out in Becker, Big Lake and Elk River. Alex Chapter has their boxes out. 14 of them. Page created in 0.733 seconds with 34 queries.